If you sell online and your store feeds sales directly into Xero, or you receive payments on invoices via payment processing services, you may receive an aggregate remittance to your bank account that makes it difficult to reconcile with individual sales invoices. Creating an intermediary clearing/suspense account is an easy way to handle this, and streamlines the work involved. 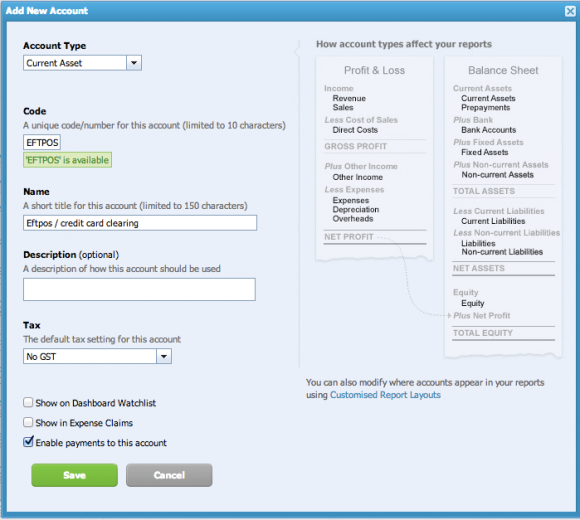 We need to setup some extra accounts in our chart of accounts. These clearing accounts allow us to easily apply payments and reconcile monies received without having to directly match up daily settlements to individual invoices. An account should be created for each payment type received that does something a little different e.g. Ensure you have checked the 'Enable payments to this account' option when creating the account. Note that these invoices have been paid. 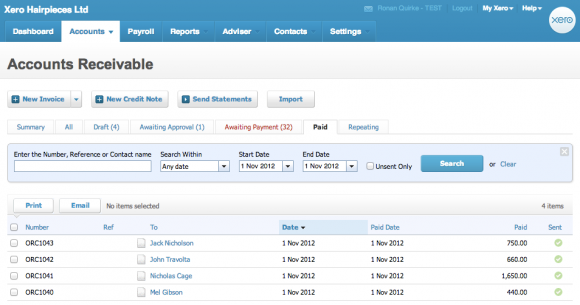 Via the API, a payment has been created on each invoice. In this example, the payment has been linked to our EFTPOS account we created previously. 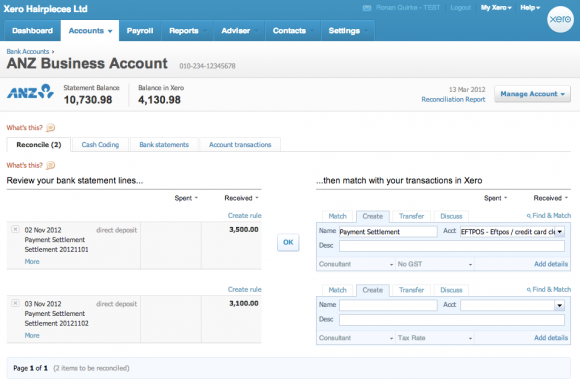 If we take a look at our bank account in Xero, we can see we have received some funds from our payment processor. 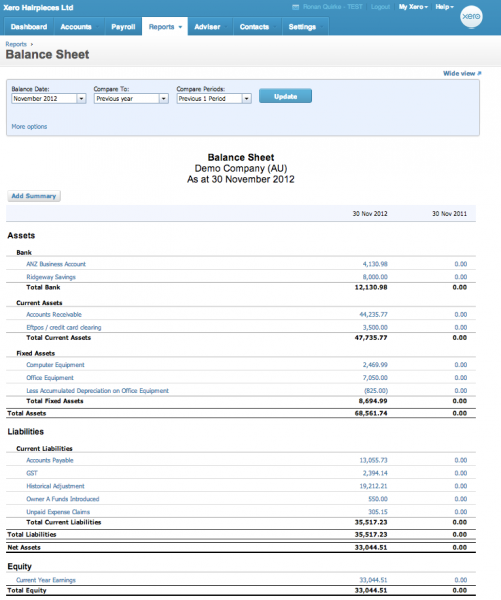 These are lump sums that do not correspond directly to a specific invoice. The next time the user goes to reconcile, the Xero bank reconciliation screen should auto suggest the receive money transaction - the user just needs to click OK. Some payment services such as American Express will remit funds net of fees. This is a little trickier as it means your remitted funds will be less than your sales, leaving the clearing account with an outstanding balance. Using this information, you can create a manual journal that moves the fee amount out of the clearing account and into an expense account such as a bank fees account.